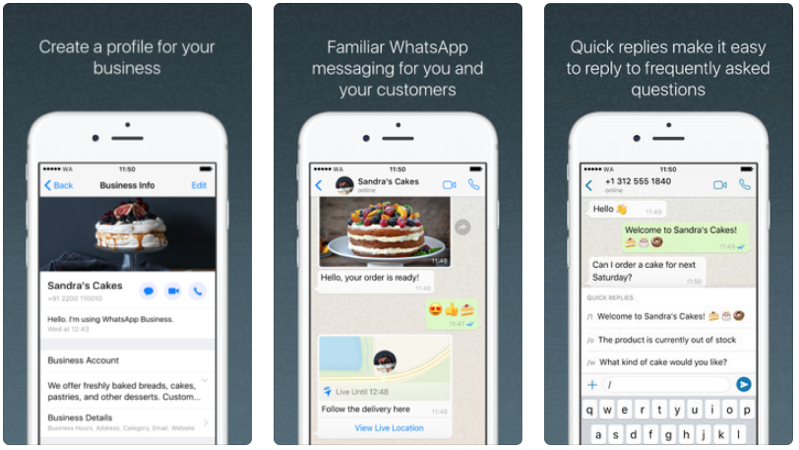 WhatsApp Business for iOS has arrived, after previously launching for Android last year. The new app from WhatsApp allows businesses to share a profile containing their contact details and address, while also respond to customers with quick replies, plus setup greetings and away messages. Chats with customers will be able to be managed via desktop as well, where you will be able to send files to customers. The service for businesses also supports landlines, while it is possible to have both WhatsApp Business and personal installed on the same smartphone, if your device supports two lines. “Whether it’s an online sweet shop in Ribeirão Preto, Brazil that closes 60 percent of its sales via WhatsApp Business or a cinnamon roll company in Tijuana, Mexico that credits WhatsApp Business for allowing it to open a second location, small business owners all over the world are using the app to grow,” WhatsApp explained in a blog post. “We’re excited to bring the WhatsApp Business app to even more small businesses and hear new stories about how it’s helping them succeed,” added the company. Once WhatsApp Business goes live in the Canadian App Store, you’ll be able to download it from this link.